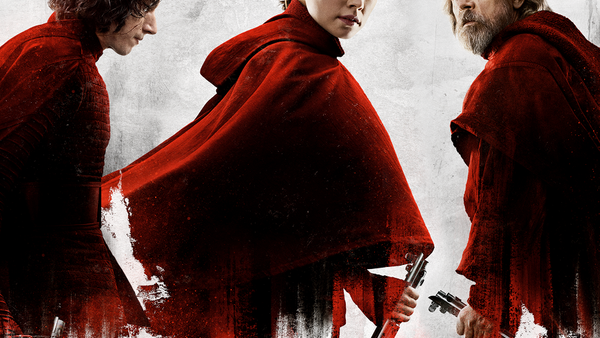 Star Wars: The Last Jedi is finally here! Writer and director Rian Johnson's Episode VIII builds on the events of J.J. Abrams' The Force Awakens, so we have the onus on Rey on Ahch-To to convince him to rejoin the fight, but more-so hoping to be trained in the ways of the Force by Luke, twinned with Kylo Ren's inner conflict after murdering his father. Elsewhere, there's the escalating conflict between the Resistance and the First Order in the wake of the destruction of both Starkiller Base and the New Republic, Finn's recovery, and a few newbies to slot in as well. The movie is huge in every way, with massive action beats, major developments, and is absolutely stuffed with characters. There are the old heroes, Luke, Leia, and Chewbacca; the old new heroes and villains, Rey, Kylo, Poe, BB-8, and Finn; and the new characters, Rose (Kelly Marie Tran), Vice Admiral Holdo (Laura Dern), and DJ (Benicio del Toro).